Dr. Kasi is a Pediatric Pulmonologist at Children’s Healthcare of Atlanta and Assistant Professor at Emory University School of Medicine. He is board certified in pediatrics and pediatric pulmonology. Dr. Kasi joined Children’s in 2017. During his fellowship training at Children’s Hospital Los Angeles, Dr. Kasi was the recipient of the Chun I Wang award for pulmonary research. He also received teaching awards during his residency and fellowship. In 2018, Dr. Kasi has helped establish the Diaphragm Pacing Program at Children’s. 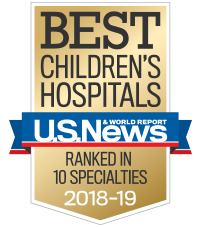 This unique program is for children with congenital central hypoventilation syndrome (CCHS). This program is one of a few of its kind offered in the country. Children's performs Georgia's first pediatric diaphragm pacing surgery on a 14-year-old boy. Dr. Kasi leads the diaphragmatic pacing program at Children's Healthcare of Atlanta. Along with his team, he performed the first pediatric diaphragm pacer procedure in Georgia.